Advent and Christmas is a truly lovely time in Parish life and this year all the much-loved Services will be held, along with some special events. Advent is a time of prayerful and thoughtful preparation for Christmas and there will be special prayers and reflections at the various Services. The Annual Parish Gift Day will be held on Sunday 2nd December. Parishioners are invited to bring their Gift Envelopes to church, or send them to the Honorary Treasurer. It is a privilege to be able to give a special gift to thank God for His love and goodness during the year and to be able to support our Parish. Each Thursday in All Saints’ during Advent – 6th, 13th and 20th December – there will be a prayerful Advent Reflection 12pm which I am sure parishioners will appreciate. The Advent Service takes place during the Thursday Coffee Morning which runs from 10.30 a.m.-1.00 p.m. every Thursday. The Thursday Coffee Mornings are now becoming a much-loved feature of Mullingar. Congratulations are due to the organisers. Over 15,500 Euro has already been raised for Local Charities. On Saturday 1st and Saturday 8th December at 10.30 a.m. in All Saints’ there will be an opportunity to reflect on the true significance of Christmas. This provides another opportunity for your preparation for Christmas and everyone will be most welcome. The much loved and enjoyed Christmas Whist Drive in All Saints’ will be held on Friday 7th December at 8.30 p.m. A warm invitation is extended to everyone to come and enjoy a lovely festive atmosphere, a delicious supper and wonderful prizes – a night not to be missed! The Concert, which is now a much-loved and well established event in Advent, will be held on Saturday 8th December at 7.30 p.m. in All Saints’. The Mullingar Musical Allsorts and the Midland Youth Orchestra will delight us all with their singing and music. The numbers attending get larger every year, so do come early to ensure a good seat. This beautiful Service will be held in Killucan at 11.30 a.m. on Sunday 9th. The young people will take part in the Service and Christingles will be made by the children of the Sunday School. The significance of Christingle is very special and it is always a delight to be part of this important Service. This year we invite those who would like to be “carol singers” for an hour to meet in Killucan Church at 2.00 p.m. on Sunday 9th for a short rehearsal. At 2.30 p.m. we will make our way across the road to Rose Lodge Nursing Home to entertain the residents with the singing of much loved carols. The residents are really looking forward to this occasion and so if you can join us please do. 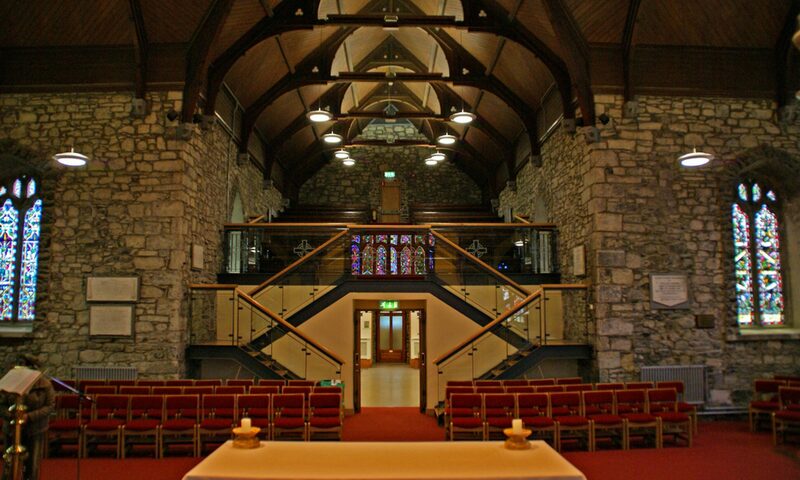 This annual Service brings together Christians from the different churches in the Mullingar area. It will be held in All Saints’. It is a truly beautiful occasion and the music is utterly uplifting, so please mark it in your diary as a ‘must’ for Advent. The Christmas Nativity Play will take place in All Saints’ on Sunday 16th at 12.00 noon. After the Nativity everyone will be invited to visit the Live Crib in the church/school grounds. There will be many stalls and tea and coffee served in the church. There will also be the possibility of enjoying mouth-watering beef burgers. The Parents Council of the School hope this event will be enjoyed by everyone and will raise money for All Saints’ School. Following the huge success of last year’s Charity Nativity Plays, the young people from Wilson’s Hospital School and the Chaplain will put on two performances at 10.30 a.m. and 12.00 noon. Children from schools in Mullingar will attend but parishioners and friends are also invited. Each person is asked to donate 1 euro which is donated to Charity. This year the Warden, staff and pupils of Wilson’s Hospital will hold their annual Carol Service in All Saints’ at 12.00 noon on 21st December. We are delighted to welcome the Warden and school for this festive occasion. In Advent there will be a Remembrance Tree in Killucan church. Parishioners are invited to place the name of a loved one on the tree and each of the names will be included in the Christmas Day Service. We thank Susan for this lovely initiative. The Diocesan Reunion for all those who have been confirmed and those preparing for Confirmation will be held in All Saints’ on Sunday 2nd December from 2.30 p.m. – 5.00 p.m.
Carol Singing – Sunday 2nd December. The Choir will sing carols at 2.30 p.m. at Belvedere. If you would like to donate a book, buy or borrow a book please contact the leaders of the Company. We offer our deepest sympathy to John and Mignone Duggan following the sad passing of John’s mother. John’s mother had been a Principal teacher in Co. Mayo and won the admiration and affection of the entire community during her lifetime. We pray that John, his father, Mignone and the family will be comforted by their loving memories of her and that Anne, John’s mum, now in the fuller presence of God, may rest in peace. We offer our deepest sympathy to Reg and Brenda Battans and their family, following the tragic death of their daughter Samantha, affectionately known as Sam. Sam was a much loved member of different organisations and had taken part in the Special Olympics. The whole community was saddened by her death and we pray that, in the fuller presence of God, Sam may rest in peace. We also offer our deepest sympathy to Ashley and Lisa Culbert, following bereavements in their family of a brother-in-law and a cousin. At this sad time we pray they will be comforted by God’s love and grace and their loved ones will rest in His presence. We also offer our deepest sympathy to Ann Williams following the sad death of her sister Marie. Marie bore her illness with great courage and dignity and we feel for Ann who has lost a much loved sister. We pray that Marie now in the fuller presence of God may rest in peace. I would like to wish you and all of your loved ones a very Happy and blessed Christmas.